How do we proceed with voice-over auditions? Do you have recording facilities? Can you do video subtitling? Can you translate my video or audio recording? My script is not yet translated; can the voice-over talent do that at the studio? My script will be recorded in English; can you send someone to read it with an authentic foreign accent? I am not in Seattle; can you still find voice-over talents for my project? Can someone come to my site to help me edit a video in a foreign language? How do I know if what the voice-over talent is recording is correct? Can you find an age- and gender-specific foreign voice to record this script? 1. How do we proceed with voice-over auditions? We recommend assigning a voice-mailbox for candidates to call in and leave an audition sample. We also recommend that you forward a sample portion of your script to us ahead of time so that talents can demonstrate how they work with the language and nuances of your particular script. Once you've made your talent selection, we will send them to your studio of choice for voice recording. 2. Do you have recording facilities? No, the Academy serves as an agent to recruit and screen the language resources you need for your multimedia project. We do have longstanding relationships with professional studios and production houses in the area and are happy to refer you to an appropriate facility. Studio fees are billed at cost to our clients. 3. Can you do video subtitling? We provide transcriptions and translations of video footage in detailed time-code format for producers to use when incorporating subtitles into their videos. 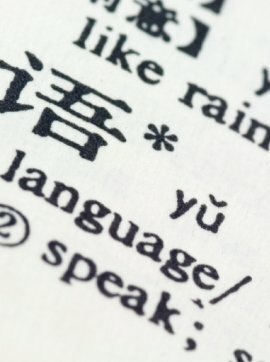 Experienced language consultants are available to work on-site with video producers to make sure subtitles match what is being said on the screen. 4. Can you translate my video or audio recording? We provide detailed time-coded charts for transcribed and translated video footage, and basic Word tables of transcribed and translated audio footage, so that clients may read the text of both languages side by side. Using very detailed time-code formats of video transcription and translation, clients can edit footage in foreign languages without knowing the language. When relying solely on time-code tables for self-editing, we strongly recommend employing a language specialist to come on-site to verify edits are accurate. 5. My script is not yet translated; can the voice-over talent do that at the studio? We urge you to have scripts translated ahead of studio recording time. Many of our voice-over talents are just that, voice-over talents, and not professional translators. Translation of your script should be performed by professional translators with expertise in the subject matter. We respect the original author's time and creative work. It is imperative to allow translators as much time as possible to work with the given text for an equally powerful translation. 6. My script will be recorded in English; can you send someone to read it with an authentic foreign accent? Yes. We only audition talents who are reading a translated script in their native language, or who are reading an English script with an authentic accent from their native language. 7. I am not in Seattle; can you still find voice-over talents for my project? Yes. We will do our best to either find voice-over talents or sources for voice-over talents near you, or we will find a producer and studio local to us so that we may employ talent from our well-established voice-over talent pool. 8. Can someone come to my site to help me edit a video in a foreign language? Yes. We are happy to provide the best language services possible for your production's needs. 9. How do I know if what the voice-over talent is recording is correct? We highly recommend hiring a control person to add quality assurance to your project. The control person monitors the voice talent's possible mispronunciations and text omissions, making sure there are no mistakes in the recording. Both control person and voice-over talent work with the script written in their native language. 10. Can you find an age- and gender-specific foreign voice to record this script? Yes, you may make your request as specific as you wish; our staff will work diligently to find just the talent you are looking for.